Best Buy! 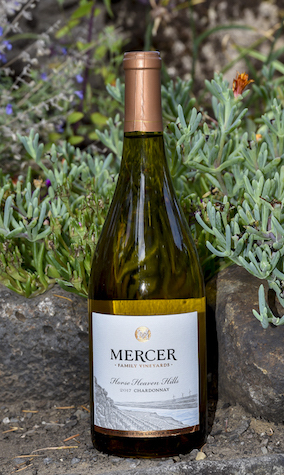 Last year, Rob and Will Mercer chose to rebrand Mercer Canyons and reposition it as Mercer Family Vineyards as part of their distribution collaboration with Delicato Family Wines. And winemaker Jeremy Santo, homemade in Prosser, Wash., made a stylistic statement with Chardonnay during his first vintage with the Mercer family. Enticing aromas of pear, lemon and apple delivers silky flavors of dried banana and pineapple. There’s creaminess on the entry, and arrives perfect acidity keeps it bright and fresh. This earned a gold medal last fall at the Great Northwest Invitational Wine Competition.